Coming in the 2019-2020 School Year! This guide was created by Missouri River Relief and was designed to be used by elementary and high school students. The goal of this guide is to provide an engaging, hands-on experience for students beginning to learn about Missouri River floodplain trees. It is not designed as a foolproof taxonomic tree ID guide. To download directly visit: MOSpace Institutional Repository. While the trees included in this guide can be found in many Missouri River floodplain forests, the list is not exhaustive for all locations. Many Missouri River floodplain trees can be very tall with leaves out of reach; as such, we formatted this guide to focus on bark providing the most direct identifier for the student. Tree bark is at student level! Because many guides focus on leaves and stems to identify trees, we understand that this is a unique approach to learning tree species. Big thank you to Kevin Tosie, Student – University of Missouri, Columbia; Leif Nordstrom, Student – University of Missouri, Columbia; and Ann Koenig, Urban Forester – Missouri Department of Conservation; and Felicity Dykas, Head of Digital Service Department- the University of Missouri who made this guide possible. Coming in the School Year of 2019-2020! In the fall of 2018, Missouri River Relief will launch a Missouri River Curriculum consisting of 4 lesson plans for elementary students and educators that incorporate’s the ecology, history, and stewardship of the Missouri River. 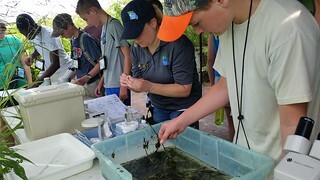 The new curriculum seeks to build elementary students knowledge and understanding of the Missouri River through hands-on experiences that will deepen their connection and sense of responsibility to its stewardship. Big thank you to Darcy Higgins, instructor of the Missouri River All-Stars After School Program who is co-developing and piloting these lesson plans in partnership with Missouri River Relief. Ever wonder what STEM challenges to serve up to your students next? 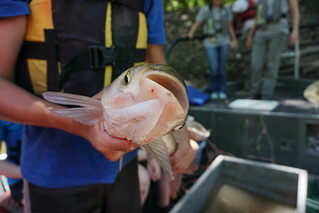 In the fall of 2019, Missouri River Relief will launch 3 clever, unique and simple STEM challenge lesson plans for elementary students and teachers that incorporate the Missouri River. STEM is Science, Technology, Engineering, and Mathematics. STEM education is an interdisciplinary approach to learning where rigorous academic concepts are coupled with real-world lessons as students apply science, technology, engineering, and mathematics in contexts that make connections between school, community, work, and the global enterprise enabling the development of STEM literacy and with it the ability to compete in the new economy. Focus on real-world issues and problems. Guided by the engineering design process. 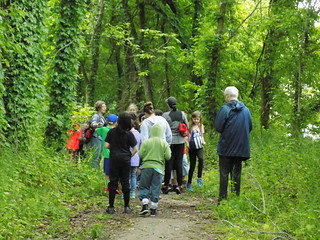 Immerse students in hands-on inquiry and open-ended exploration. Involved students in productive teamwork. Apply rigorous math and science content the students are learning. Allow for multiple right answers and reframe failure as a necessary part of learning. Why do STEM Challenges matter to you? Improve STEM experience for undergraduate students. Improvement in learning and thinking. Ability to make connections between concepts and representations. New knowledge is built on existing knowledge. Merging of ideas from teachers of different subject areas. 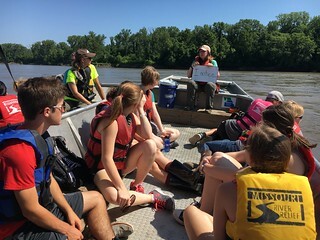 Big thank you to Morgan Staudinger at the University of Missouri-Kansas City who is developing these lesson plans in partnership with Missouri River Relief. If you are interested in piloting a STEM challenge and offering feedback, please e-mail the education coordinator, Kristen Schulte at kristen@riverrelief.org. Gerlach, J. National Science Teachers Association - NSTA. "Books & Resources." NSTA News. N.p., 12 Apr. 2011. Web. 19 Dec. 2016. Executive Office of the President of The United States. Committee on STEM Education National Science and Technology Council. Federal Science Technology, Engineering, and Mathematics (STEM) Education 5-Year Strategic Plan. May 2013. Washington D.C. 20502. National Academy of Engineering and National Research Council. 2014. STEM Integration in K-12 Education: Status, Prospects, and an Agenda for Research. Washington, DC: The National Academies Press. doi: 10.17226/18612.